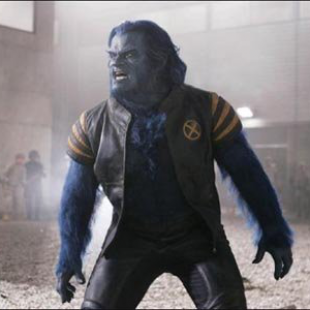 Actor Kelsey Grammar has said that playing Beast in X-Men: The Last Stand was a "joy" and that he'd love to return the role. At this point it's pretty much accepted that X-Men: The Last Stand was so terrible that it took a complete reboot to get things working properly again. That being the case, the film did have some arguable positives with one of them easily being Kelsey Grammar's casting as Beast. He simply brought a natural intellectualism to the character that was pitch perfect and very much deserving of a better film. That in mind, Grammar, speaking recently about his brief cameo in X-Men: Days of Future Past, expressed that he'd happily take part in another X-Men movie if given the chance. "I would love to do another X-Men," he said. "I loved playing Beast! I call him the blue guy and it was just a joy for me to be involved in that franchise." He would go on to describe how he wound up being in the production of Days of Future Past which featured the actor in a cameo toward its end. "When I heard they were making another one...It was Hugh [Jackman] that I was talking to and he said, 'You're going to be in the next one aren't ya, mate!?!' I said I didn't even know about it. So I called Bryan and said, 'Look I understand that you're in a different timeline now and it's the younger Beast, but there's that little coda at the end. So I volunteered my services for it, because I really like being a part of that franchise." Discussing X-Men: The Last Stand, in turn, Grammar affirmed his belief that director Brett Ratner "did a good job" and blamed the film's troubles on "political nonsense between studios." Nonetheless, he acknowledged that the franchise is perhaps better off in the hands of Bryan Singer and that he "was happy to see him return to it."